It is through the schlerochronology that we can calculate how old are these life forms, as well as we could have calculate a tree's age: the shell's rings of these molluscs are actually growth indicators, each ring representing a season-cycle of their life. 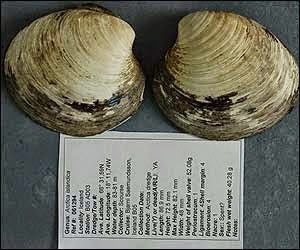 In a recent study, previous estimation of the age of Ming, valued initially at about 405 years, finally reveals the mollusc is a century older: the 507 years of the mollusc make it the oldest animal that has ever lived, which age was authenticated. That's twice or even three times, the age of animals that are generally regarded as having the longest life span (turtles, whales ...). Furthermore, Ming was accidentally killed by the researchers who studied it. Yeah, that happens : this was the oldest animal, and we killed it. So we actually dont know how longer it would have lived, if it had remained at the bottom of the ocean! 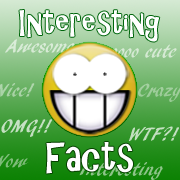 However, caution should be exercised when attempting to define what is the oldest animal that ever lived : not only age and longevity, are two different concepts, but also the oldest animal in years lived) is not necessarily the one whose birth took place the farthest in the past. Some organisms such as tardigrades or species of bacteria may enter full in stasis before they resurrect centuries, even millions of years after. Others are particularly resistant or experience negligible senescence (that means, they seems to have no particular aging process), as some jellyfish or hydra. Plus, others organizations, because of their particular constitution, turns themselves into super-organisms that may survive through the millennia by replacing dead parts by fresh clonal elements, like siphonophores (even though we quite don't know how many time they live, yet). Officially, however, Ming, the ocean quahog, remains to date the animal whose age at the time of his death, was the highest: still, this is 5 centuries! If you are 25 years old, assuming a human generation renews every 25 years, then Ming was born in the same era as your great, great, great ... (20 times) - grandfather!